Here's June's edition of my school lunches! I'm slowly working on the backlog! 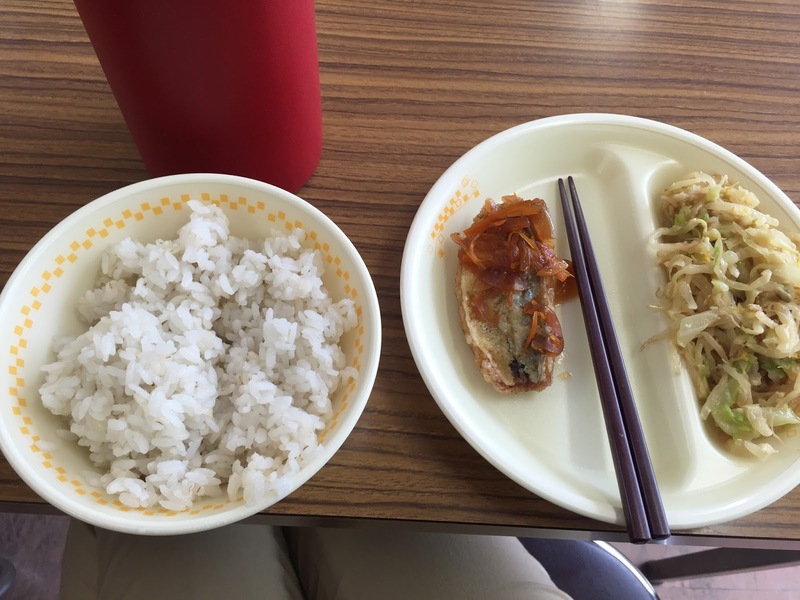 Please forgive me! 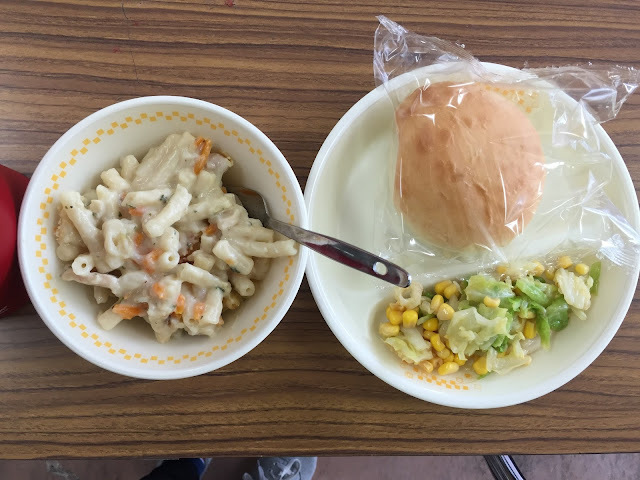 Gratin, lettuce and corn salad, and a roll. 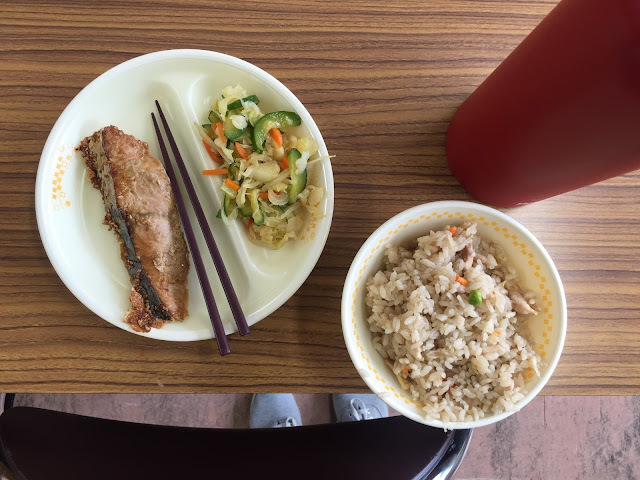 Rice, fried fish in vinegar sauce, and bean sprout salad. 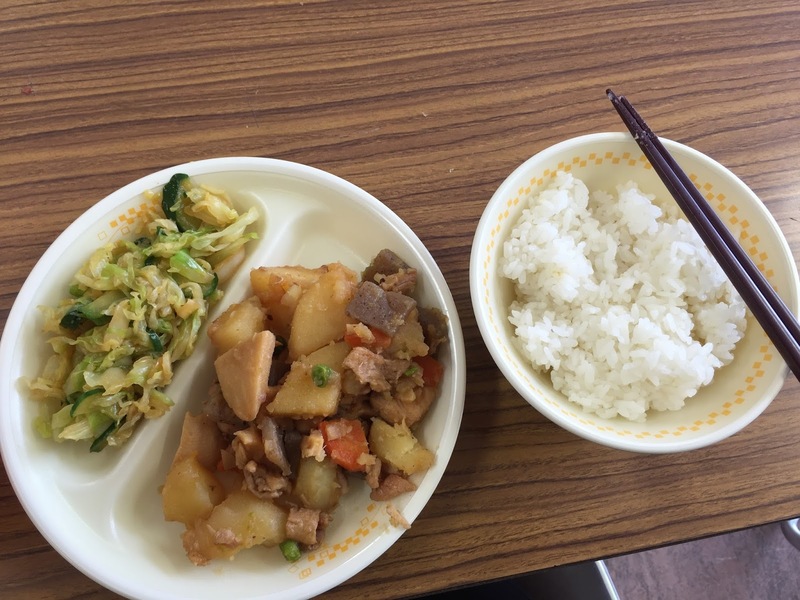 Rice, meat, potato, and konnyaku mix, and salad. 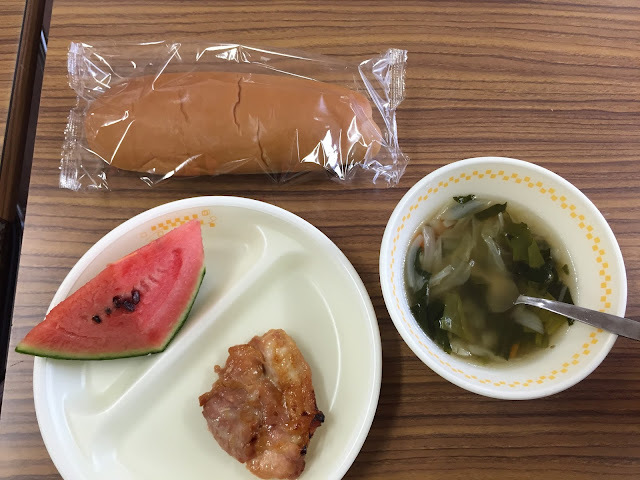 Seaweed cabbage soup, chicken, a slice of watermelon, and bread. 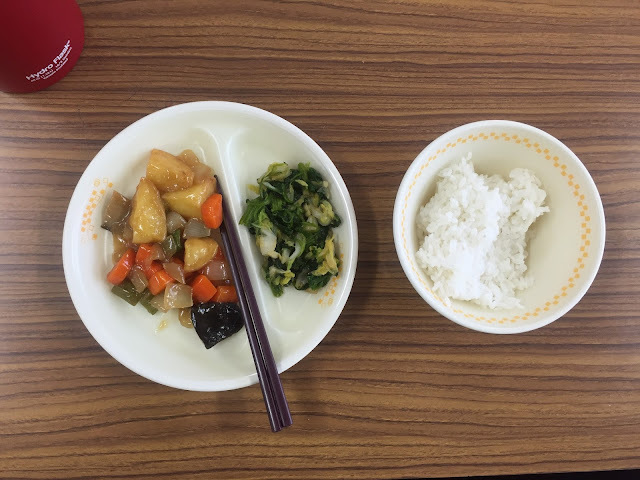 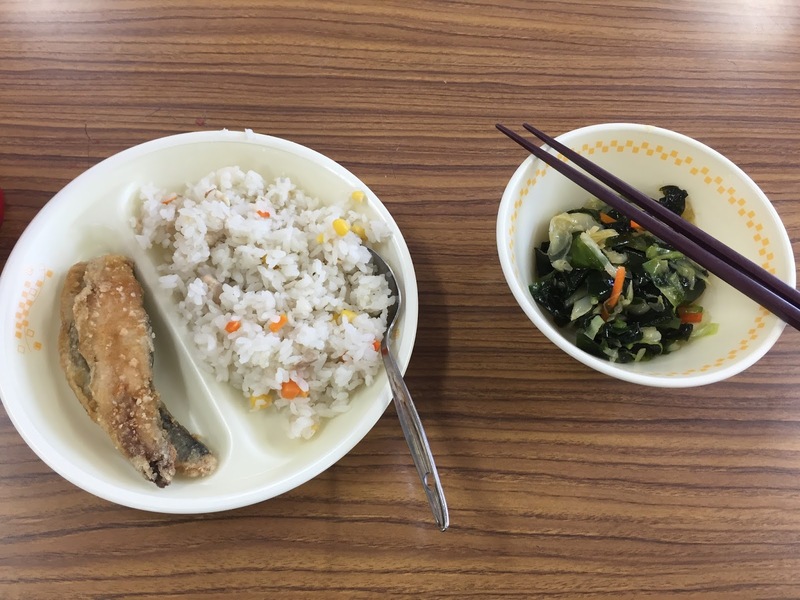 Fried fish, rice and vegetables, and seaweed salad. 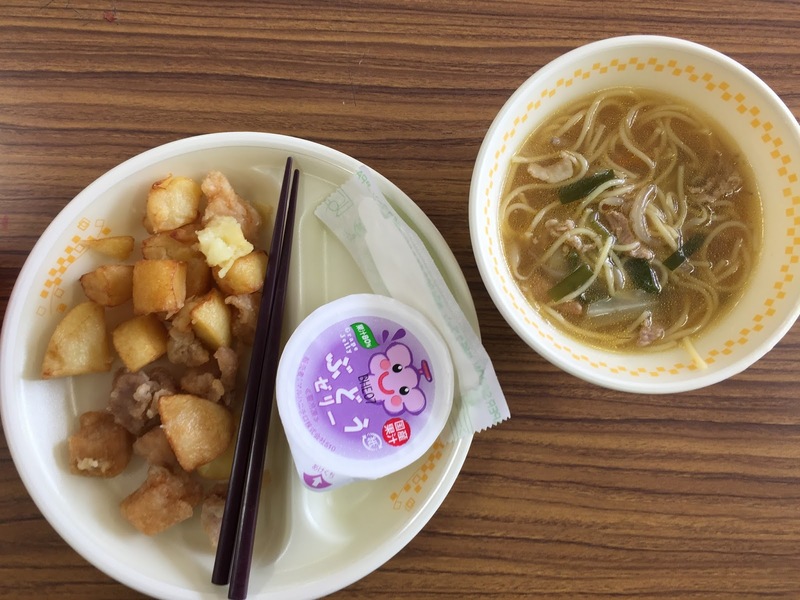 "Ramen", grape jelly, and potato and fried fish nuggets. 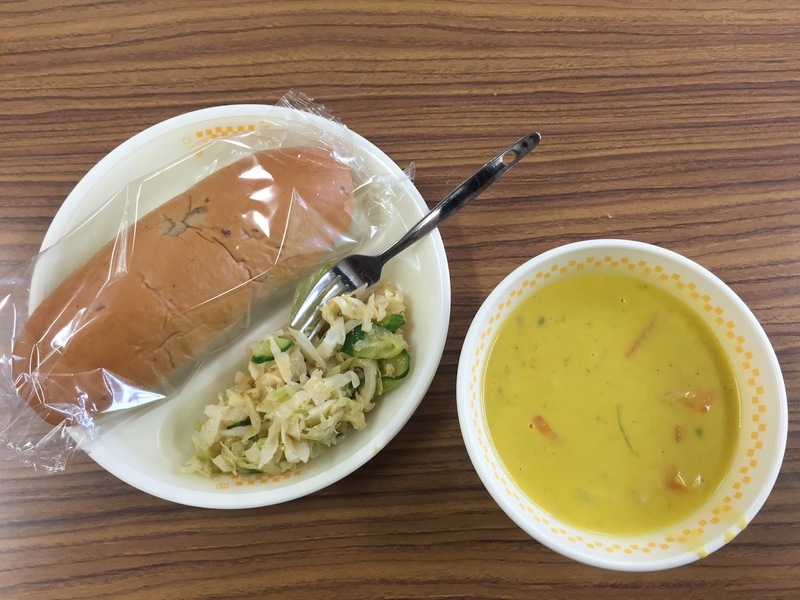 Raisin bread, salad with sesame dressing, and pumpkin stew. 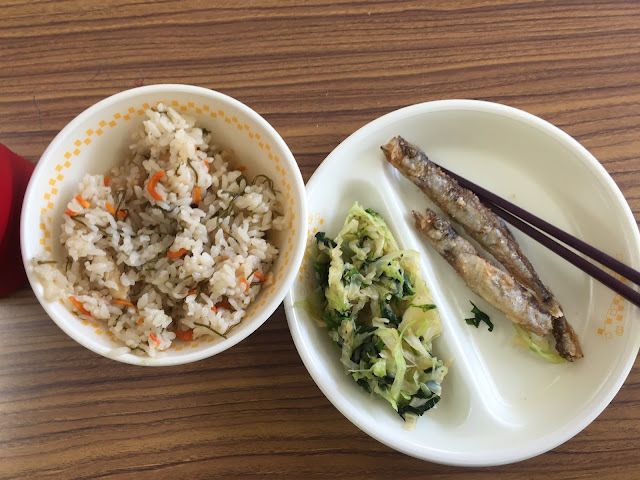 Fried pregnant fish, seaweed and cabbage salad, and rice with carrots and gobo. 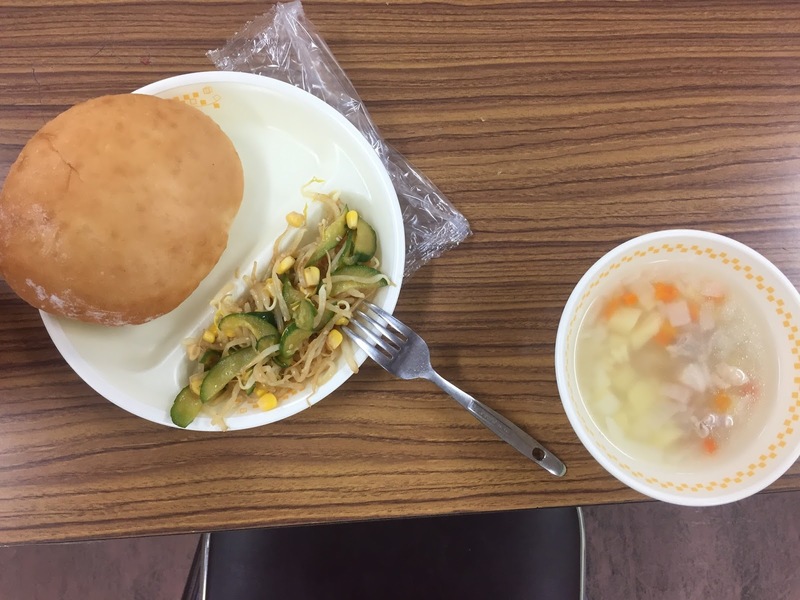 Chicken soup, bread, and cucumbers/corn/bean sprout salad. 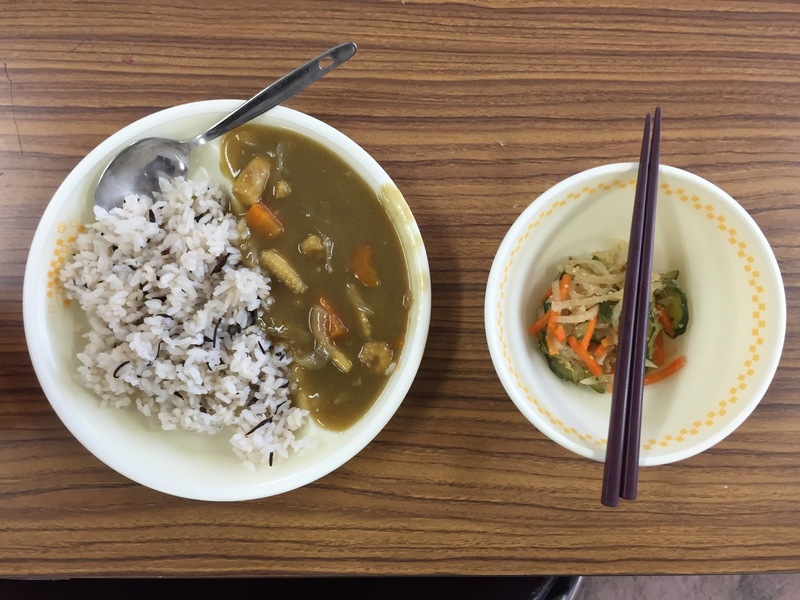 Seafood curry, rice with seaweed, and sesame salad. 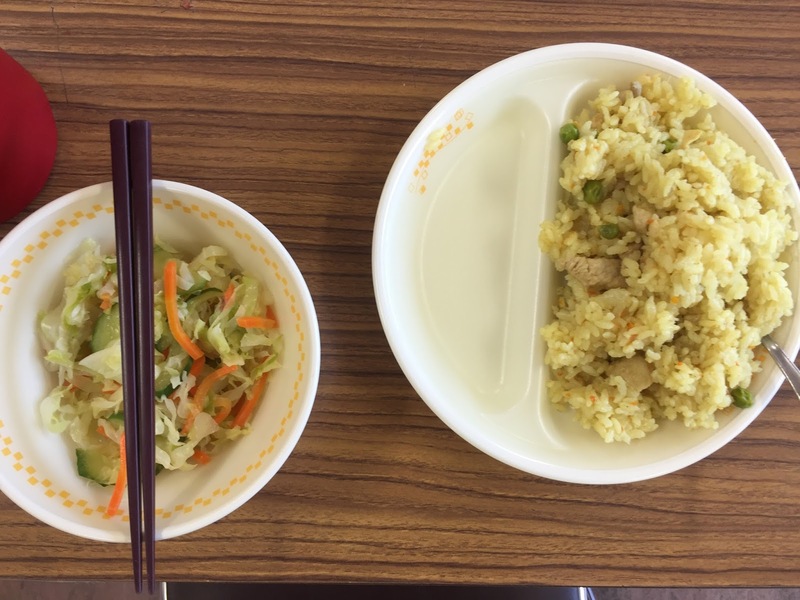 Cabbage salad with vinegar dressing, and chicken fried rice. 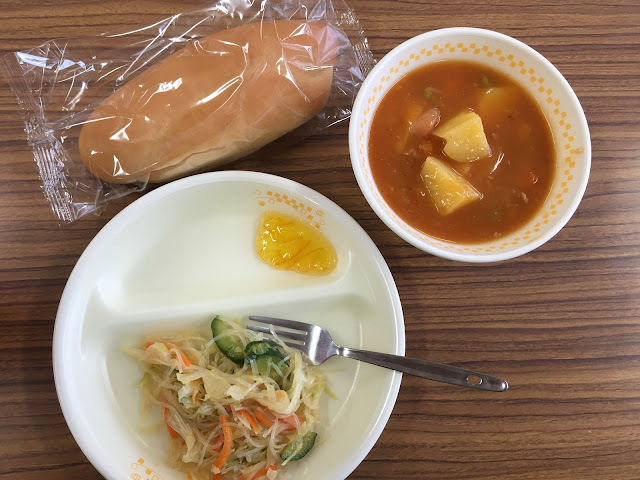 Rice noodle salad, bread with marmalade, and tomato stew. Fried salmon, cucumber/cabbage/carrot salad, and chicken rice with vegetables. Chinese-style vegetable and meat, spinach salad, and white rice.